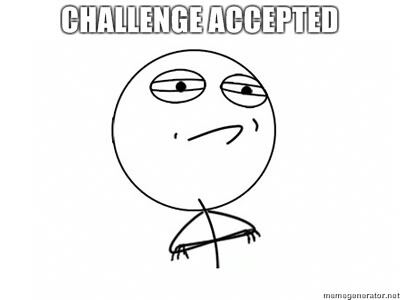 Yesterday my friend suggested that I enter this really cool blogging challenge held by WordCount. The challenge is for the participating bloggers to post at least once a day through the whole month of May. Although I’ve never posted THAT often on Purple Paintbrush, I thought this could be just another way I can push myself! This is a great way to bring other bloggers in the community together, share, and have the opportunity to gain more readers. So throughout May, cheer me on as I attempt to provide a month jam-packed with a buttload of art and creativity! This entry was posted in Events and tagged #Blog2012, Blogathon 2012, Blogging Challenges, Michelle Rafter, WordCount by Traci Turner. Bookmark the permalink.